Dr. Goran D. Putnik received his Dipl.Eng., MSci. and DrSci. from the Belgrade University, both MSci. and DrSci. in the area of Intelligent Manufacturing Systems. 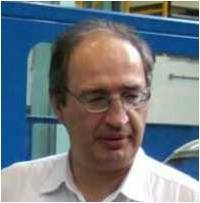 His current position is Professor, Department of Production and Systems Engineering, University of Minho, Portugal. He teaches the subjects of CAD/CAPP, CAM, FMS and Virtual Enterprises in undergraduate studies, and CAD/CAPP/CAM Systems, Concurrent Engineering, Enterprise Organization, IMS and Design Theory in postgraduate studies. He served as Director of the Centre for Production Systems Engineering (CESP) for 4 years and it’s Deputy Director for 5 years. He is Director of the Master and Postgraduate Course on CIM, and is responsible of the Laboratory for Virtual Enterprises (LABVE), the Department of Production and Systems Engineering, University of Minho. Goran'ss scientific and engineering interests are production systems and enterprises design and management theory and implementations: CIM, CAD/CAPP/CAM systems, intelligent production systems and enterprises, machine learning as a design theory model, concurrent and collaborative engineering, information systems management, formal theory of production systems and enterprises, distributed, agile and virtual enterprises, and complexity management in organizations. He is supervising a number of PhD projects as well. He regularly publishes and participates on international scientific conferences. His publishing record comprises more than 200 publications in international and nationa lournals and conferences, including 6 books, of which the “Encyclopedia of Networked and Virtual Organizations” is distinguished. Goran serves as a member of Editorial Board for several International Journals and has served in more than fifty Scientific Committees of International Conferences. He was also invited lecturer on a number of universities.